Whether you are in need of a Magento integration, layout and design enhancements, plugin/module/component customizations, training, or architectural changes we can handle all of your Magento ecommerce development needs. 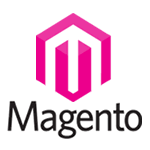 Shift One Labs Are Your Magento Experts! Magento is a popular open source Ecommerce application used by online merchants to easily manage and sell products and services without the need for a traditional brick-and-mortar store. Magento has many powerful and flexible administrative features and can adapt to become a highly tailored webstore solution to fit your specific business needs and product marketing requirements. Magento comes standard with a fantastic set of core modules and features with thousands of add-ons available that can be added to enhance and extend the core application framework. A single Magento instance can accommodate multiple webstores and websites making for a very dynamic and organized application.